Getty Images has launched its new global campaign “Millions of Images. Endless Possibilities” (Milhões de imagens. Infinitas possibilidades). Created by Brazilian agency AlmapBBDO, the campaign seeks to show the depth of Getty Images’ extensive collection of millions of images, and how through imagery, any idea can come to life. 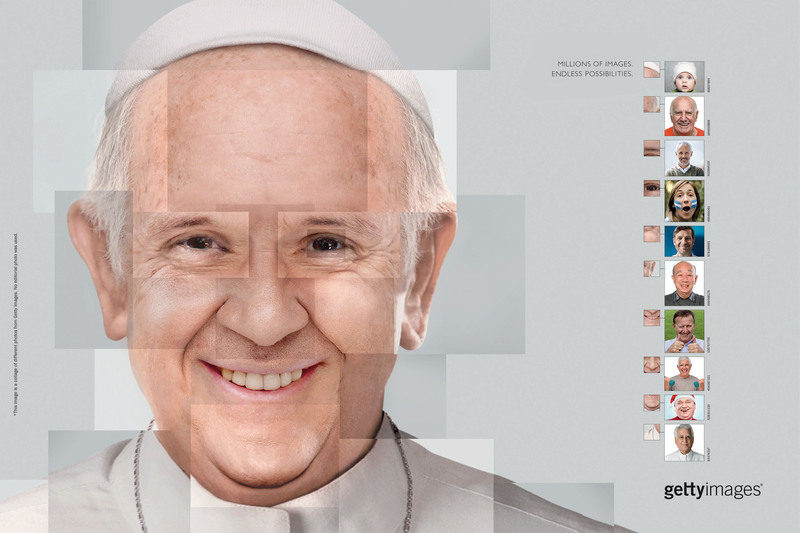 The concept features several famous faces: the likeness of Angela Merkel, Prince Charles, the Dalai Lama and Pope Francis. All of the Getty Images Endless Possibilities campaign assets, including film, print, poster and the microsite, utilize images from Getty Images and iStock by Getty Images to reconstruct famous faces. 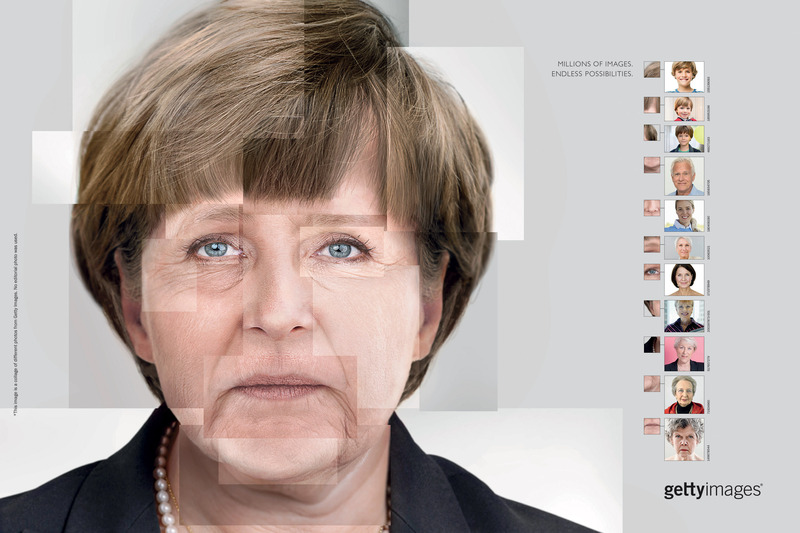 “Four months of extensive research and testing were spent, without using any editorial images, to produce the result. 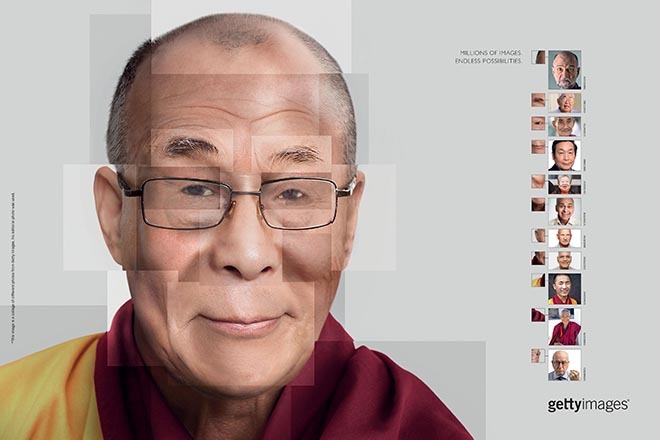 For each face to be recognized, every detail required a massive search, but as Getty Images has such rich content we were able to find the exact details to the faces that we wanted to portray,” assed Benjamin Yung Jr, Creative Director of AlmapBBDO. 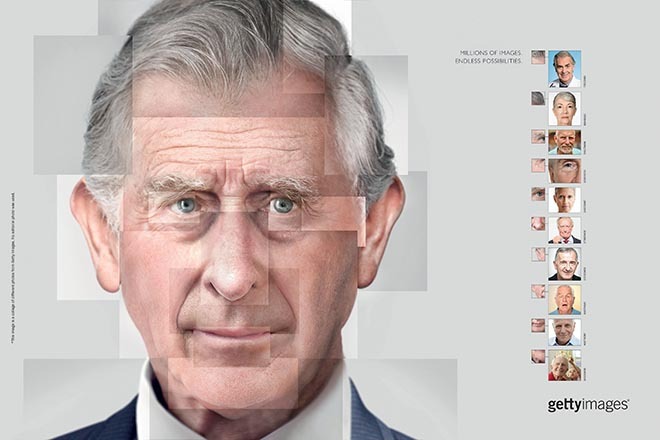 The Getty Images Endless Possibilities campaign was developed at AlmapBBDO, Sao Paulo, by chief creative officer Luiz Sanches, executive creative director Bruno Prosperi, creative directors Benjamin Yung Jr, Marcelo Nogueira, Andre Gola, Pernil, digital creative director Luciana Haguiara, digital head of art Pedro Burneiko, copywriter Daniel Oksenberg, art director Andre Sallowicz, illustrators Vitor Fubu, Vetor Zero Print + Evandro Malgueiro, web designer Adriel Nunes, art buyers Teresa Setti, Ana Cecília Costa, agency producers Vera Jacinto, Diego Vilas Boas and Fernando Yamanaka, project manager Mayra de Souza Otsuka, technology director Eduardo Braschi, UX designer Caroline Kayatt, planner Cintia Gonçalves, media planner Carla Durighetto, account team Daniela Gasperini, Samia Reiter Paz working with Getty Images marketing team Renata Simões, Susan Smith Ellis, Kjelti Kellough. Filming was shot by director Gabriel Nobrega via Vetor Zero. Sound was produced at Satelite Audio. Music was produced at Team Satellite.